You can take Michael Bennett out of New York City, but you can't take the cop out of Michael Bennett.Detective Michael Bennett is ready for a vacation after a series of crises push him, and his family, to the brink.He settles on an idyllic small town in the beautiful Maine woods. But just when Bennett thinks he can relax, he gets pulled into a case that has shocked the tight-knit community. Kids are disappearing with no explanation 'until several bodies turn up in the woods. Far from the city streets he knows so well, Bennett is fighting to protect a town, the law, and the family that he loves above all else. 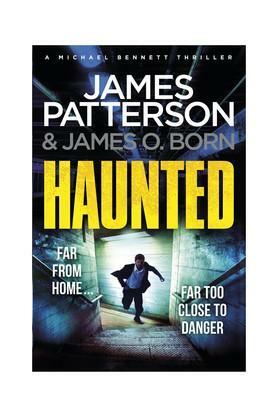 JAMES PATTERSON is one of the best-known and biggest-selling writers of all time. His books have sold in excess of 375 million copies worldwide. He is the author of some of the most popular series of the past two decades ? 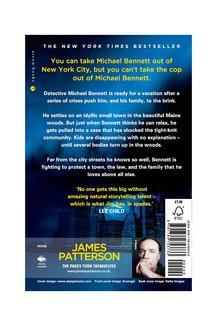 the Alex Cross, Women?s Murder Club, Detective Michael Bennett and Private novels ? and he has written many other number one bestsellers including romance novels and stand-alone thrillers.. James is passionate about encouraging children to read. Inspired by his own son who was a reluctant reader, he also writes a range of books for young readers including the Middle School, I Funny, Treasure Hunters, House of Robots, Confessions, and Maximum Ride series. James has donated millions in grants to independent bookshops and has been the most borrowed author of adult fiction in UK libraries for the past eleven years in a row. He lives in Florida with his wife and son.